March Basketball Tournament HQ is the ultimate viewing party at The Stratosphere Las Vegas from Thursday, March 21 to Sunday, March 24, 2013. College basketball fans will experience four days of non-stop playoff action inside the recently remodeled Stratosphere Theater. 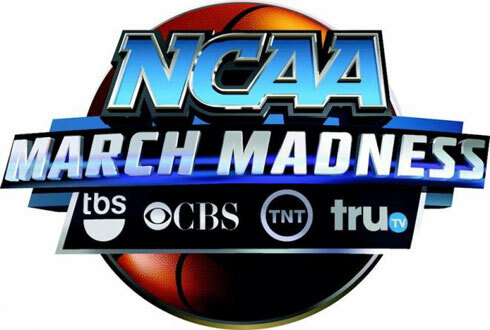 March BBall Tournament HQ is the only showroom in Las Vegas where viewers are surrounded by nine huge theater-style screens featuring all the best games and unobstructed views. March BBall Tournament HQ will be open to the public 21 years and older, and unlike other Las Vegas Strip properties, admission is FREE. $3 and $6 food specials will include breakfast items from 8 a.m. - 11 a.m. and a Barbecue Sandwich Action Station that will open at 11 a.m. Guests will also enjoy $5 pitchers of Budweiser and Bud Light, a cash bar, live betting stations and live blackjack games dealt by entertainment dealers. The Stratosphere Theater features new carpeting and acoustical wall panels, plus comfortable new chairs, tables and reupholstered booths with plenty of elbow room for food, drinks and betting slips. Free Wifi is provided—so guests are encouraged to bring their laptops. Thursday, March 21	8:30 a.m. – 10:00 p.m.
Friday, March 22	8:30 a.m. – 10:00 p.m.
Saturday, March 23	8:30 a.m. – 9:30 p.m.
Sunday, March 24	8:00 a.m. – 9:30 p.m.
For more information or to book a room at the Stratosphere, call 1-800-998-6937 or visit www.StratosphereHotel.com.